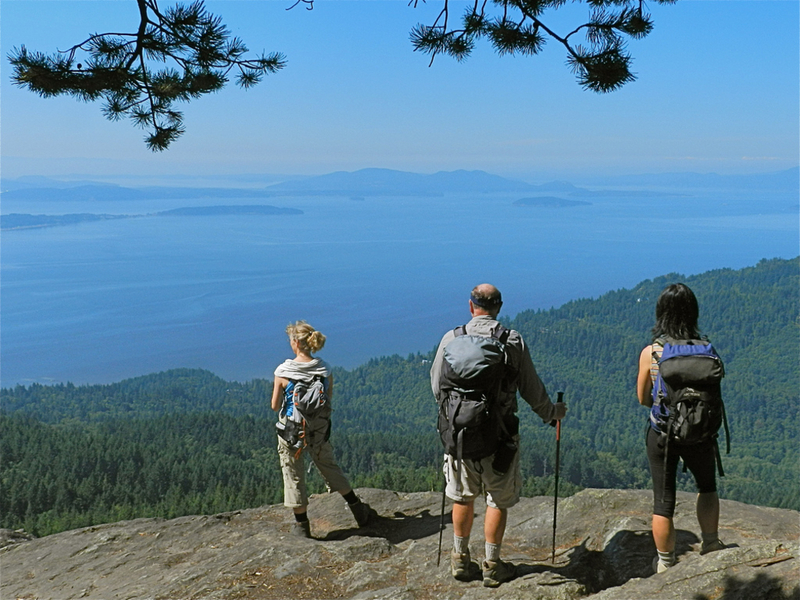 Oyster Dome is the picture-perfect destination hike of Bellingham. A gorgeous hike up to a viewpoint over the bay with climbing routes on the rock face! 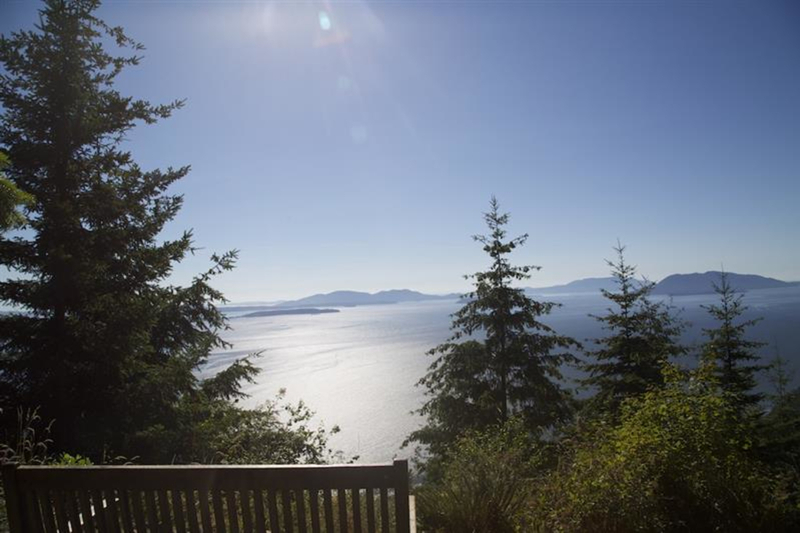 Blanchard Mountain, part of the Chuckanut range, gives us the awesome cliff viewpoint known as Oyster Dome. 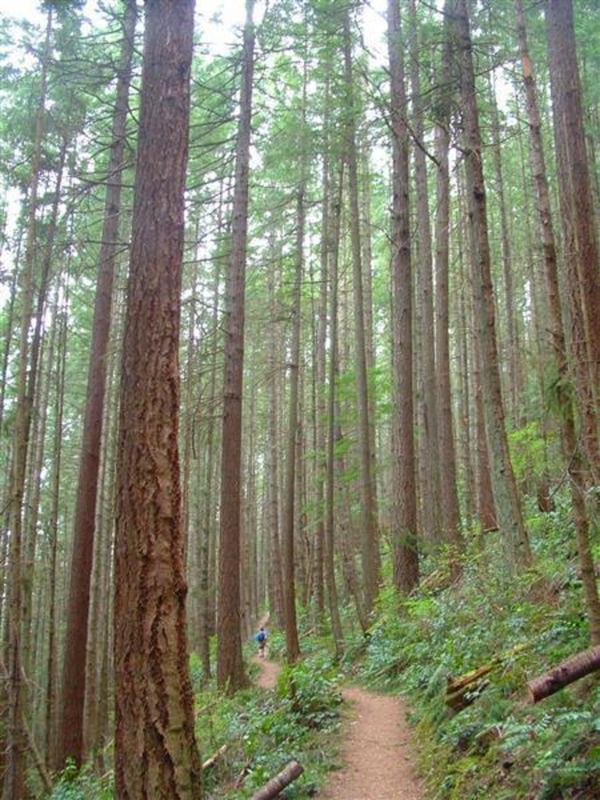 It's some of the best hiking Bellingham has to offer year round. At least once a year, Bellingham locals will trek up to the view point. However, as popular of a hike as it is, the climbing is never too busy, as the approach isn't easy and takes time. The trail is a part of the Pacific Northwest Trail. From the Oyster Dome trailhead, you immediately begin heading up a soft single-track, switchbacking across the mountain. After about a mile, you reach a small viewpoint, with a nice resting bench. Half a mile later, you come across a fork in the trail: take the right to stay on the Oyster Dome trail. Another half mile brings you to another fork, this one less established. The Talus Trail goes off to the left (for climbers). Take the right and continue up. You will pass another trail joining up with you, The Connection Trail: keep going up to your left rather than that right. 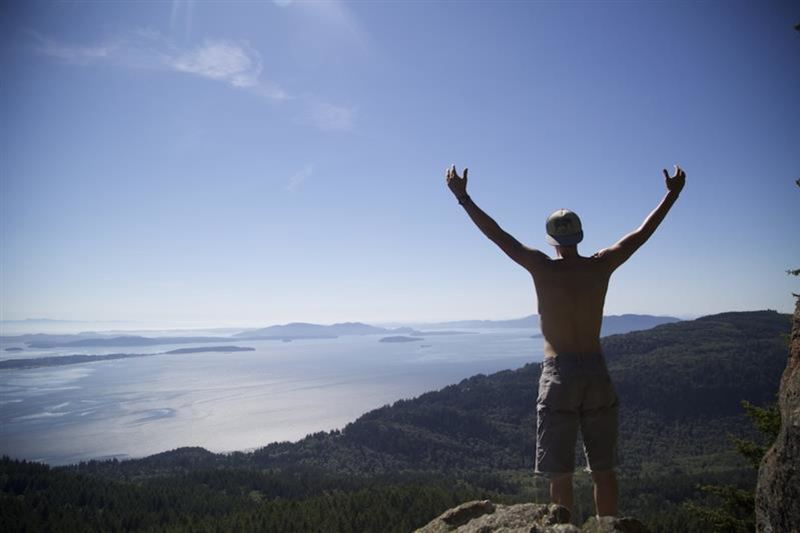 After a couple minutes, you'll be at the top of Oyster Dome! Bring a lunch and camera and stay a while, soaking up the sun and views. The trail is uphill, steep at times, but that shouldn't scare away the daily hikers. Normally, one would try to avoid places so popular and busy; however, Oyster Dome can't, and shouldn't, be avoided. You won't be sorry! From Bellingham, head south down Chuckanut Drive for 11.5 miles. The Oyster Dome Trailhead will be on your left, a little ways past the Oyster Creek Inn. There is free parking along the right hand shoulder across from the trailhead. To park at the Samish Overlook, from Bellingham, head south on I-5 until the Alger exit, #240. Head west for about a mile on Lake Samish Road, then take the left on Barrel Springs Road. After about a mile, take a right onto logging road B-1000. You can also look for Blanchard Mountain Signs. Follow B-1000 up until you can take a left on B-2000. B-2000 will take you to the Samish Overlook. The gate closes at night, so be sure to be back in time.